Join us for Animalia, an interactive performance with Musical delights about favourite animals and creatures. 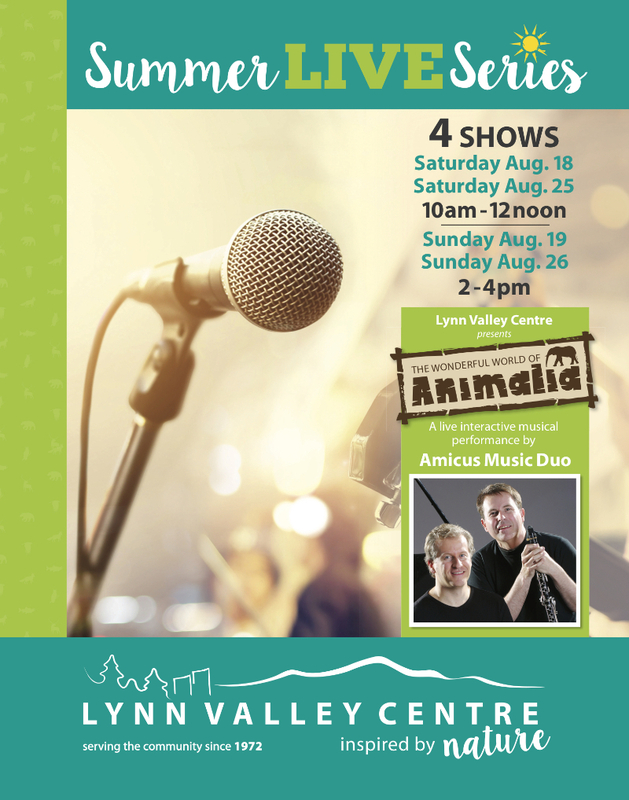 Howard and I are looking forward to entertaining and engaging adults and children with music and conversations all about Animals at Lynn Valley Centre. Well be playing some well loved classics like Saint Saëns’ The Swan from Carnival of the Animals, original compositions such as Liquid Sky and the Sandpiper, and numerous improvisations inspired by pictures, poems and conversations about favourite animals. This complimentary event is open to the public. You’ll find us at the south end of the Lynn Valley Centre mall next to Winners and Purdy’s Chocolates.